Michele Trousers 1112 2848, Light Grey Check, Slim Leg. 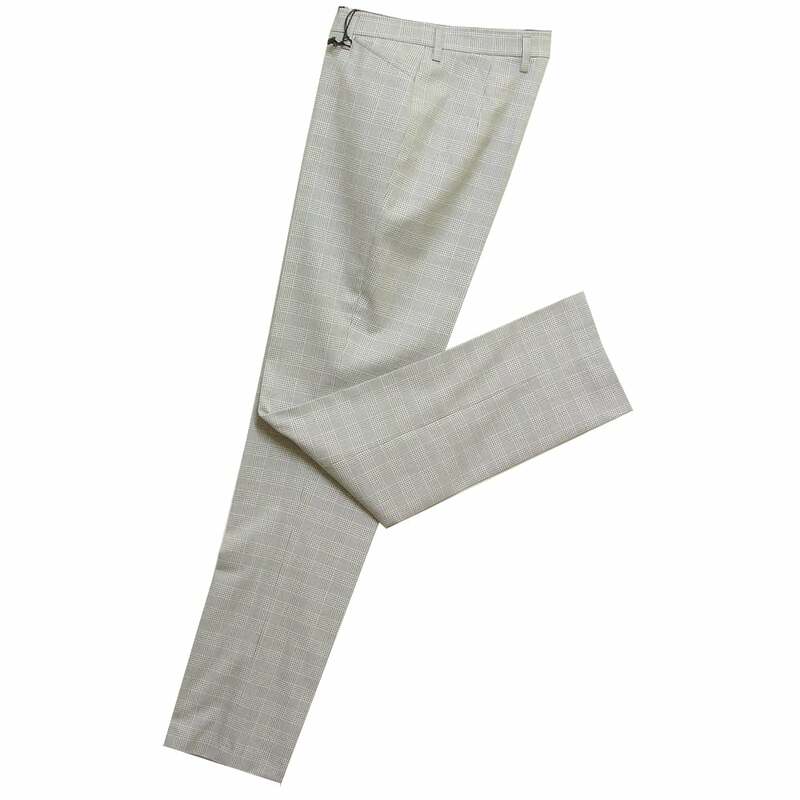 Trousers, slim leg, regular length, waist band with belt loops, front zip and button closure, two slant pockets, in light grey check polyester cloth. 69 percent polyester 29 percent viscose 2 percent elastane.